I love a good beef roast for Sunday dinner, but I don't always want a Prime Rib Roast or any of the more pricey cuts of beef. A rump roast is a good choice because it is economical and a great cut of beef for the slow cooker. I always buy our beef from a small local farm, where the animals are grass-fed and humanely raised. 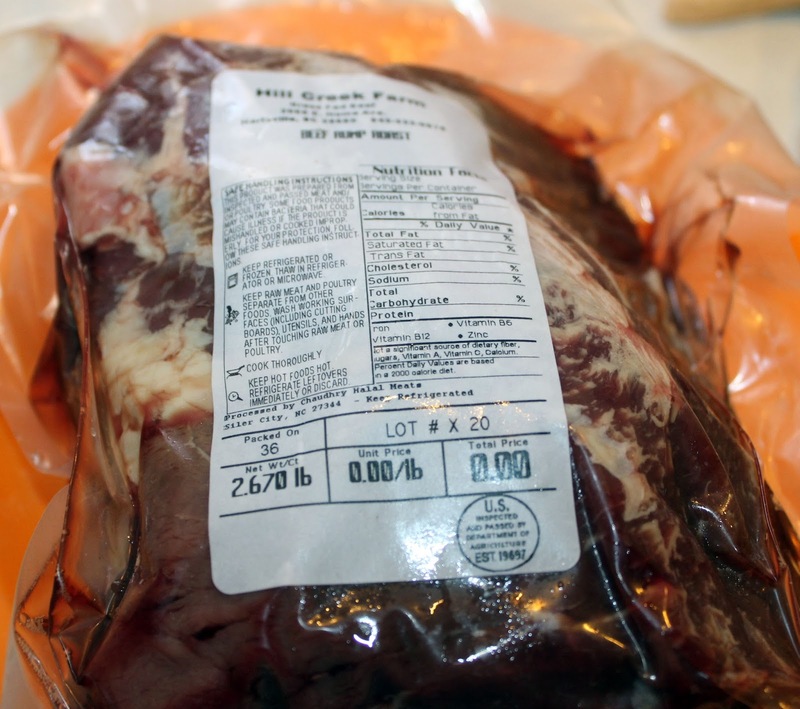 I typically buy beef in bulk, such as purchasing a side of beef with friends because it's more economical. See my post about the Benefits of Buying a Whole Side of Beef. What is a rump roast? 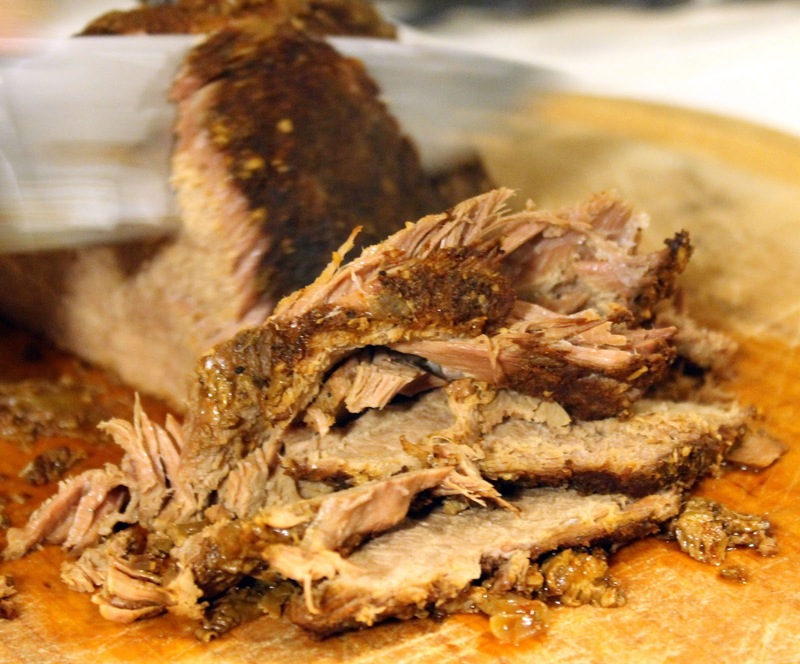 A rump roast (called silverside in the UK) is a cut of beef from the bottom round, the rear leg of the cow. It's a tougher cut of meat than steak, and it usually tastes best when roasted slowly until tender. Rump roast makes a wonderful Sunday dinner meal, especially paired with comfort foods like mashed potatoes, rice or roasted potatoes and carrots. 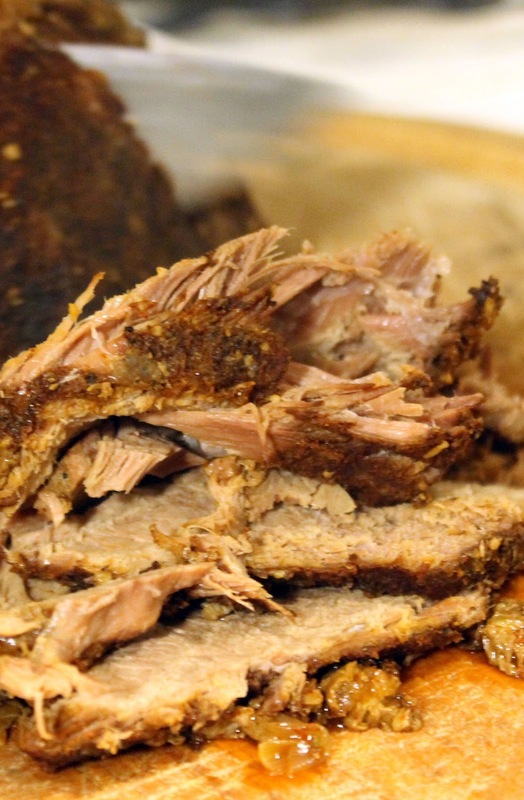 It's also the perfect type of meat to cook in a crock pot or slow cooker. Combine all the spices above together and mix well. 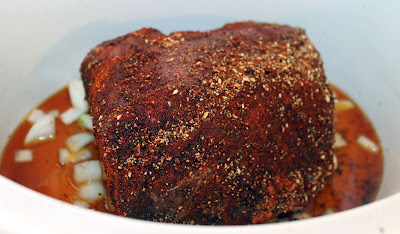 Rub roast with olive oil and generously rub the spice mixture all over your rump roast to your taste liking. Lightly coat it if you don't like too many spices. Line the bottom of your crock pot with your diced onions. Place your seasoned roast on top, and pour in the beef bone broth. Cover and cook on low for 6-8 hours. 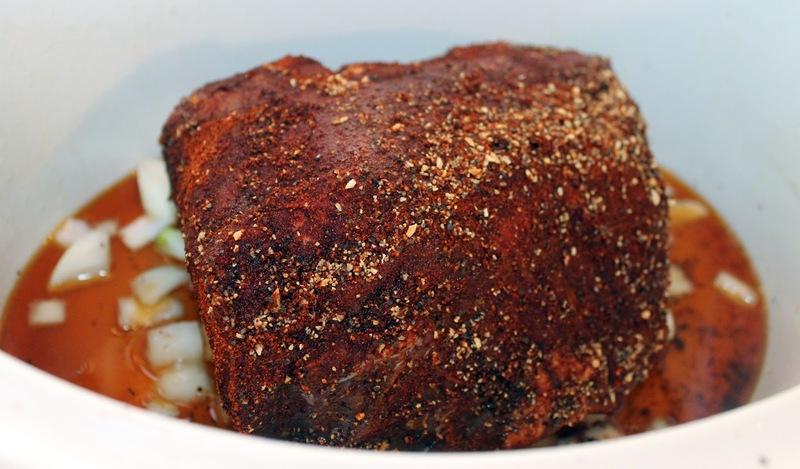 Remove roast from the slow cooker and cover with foil to keep warm. Turn the temperature down to "keep warm" to keep the potatoes and carrots warm if you added them. Melt 4 tbls butter in a small saucepan. Sprinkle in flour and whisk well. Pour in remaining beef bone broth and whisk until smooth; heat until thickened, stirring often. 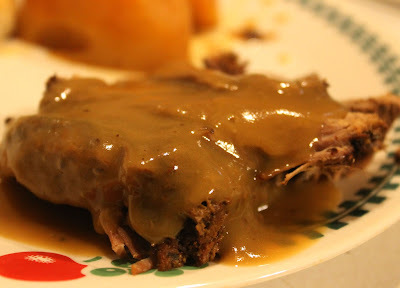 Serve gravy with roast.